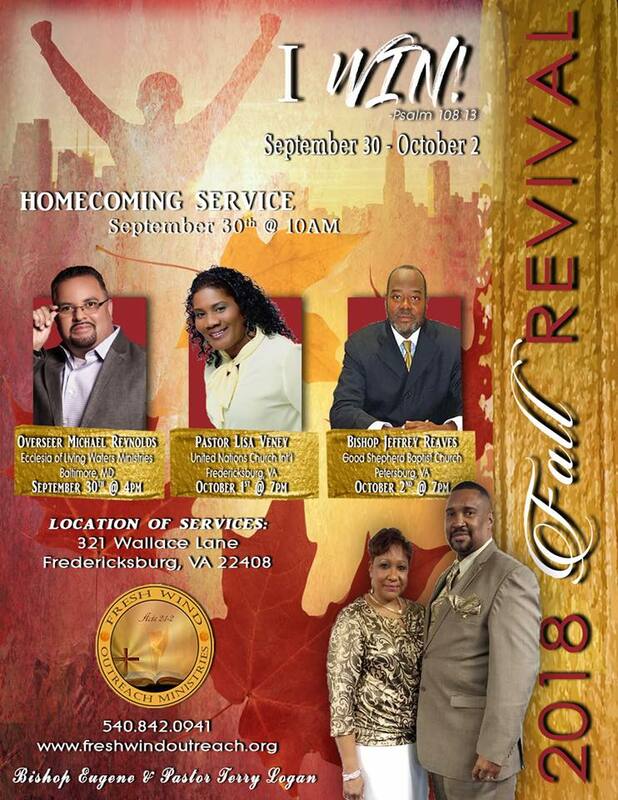 Fresh Wind Outreach Ministries 2018 Fall Revival – I WIN! 2018 Fall Revival – I WIN! 2018 Fall Revival - I WIN! We are a non-denominational Christian church committed to the person of JESUS CHRIST, and all of our teachings are based on the revealed Word of God. We are committed to spreading hope and helping people experience the unconditional love found in a relationship with our Lord. We provide regular teachings and preachings, anointed praise and worship, prayer, opportunities for fellowship, outreach, and other ministries for people of all ages and cultural backgrounds.